Another reason for Obalende's popularity is its proximity to the former seat of political power in Nigeria, Dodan Barracks, the former Federal Secretariat and Police Baracks. This made it a must for many civil servants to commute through it to and from work when Lagos was still the political capital of Nigeria. Lagos stopped being the political capital of Nigeria on 14th November, 1991 when Abuja became the new capital. However, this move did not really affect the vibrancy of Obalende and by extension Lagos as commercial interests ensure their importance and continued influence. The change of capital to Abuja did lead to the abandonment of a lot infrastructure around Obalende with commercial bus drivers and road traders taking over and greatly spoiling the serene environment with refuse, noise, pollution and associated increase in crime. 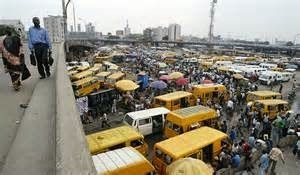 The return to democracy in 1999 saw Obalende getting some face-lift but it is during the tenure of Governor Babatunde Raji Fashola that greater effort has been made to remove road traders and restrict commercial bus drivers to their parks. There is still a lot of work to be done but Obalende is looking a lot better these days than it was in the past. The new Bus Rapid Transit (BRT) terminus is one of if not the most modern in Lagos. Another distinguishing feature of Obalende is that it bubbles for practically 24-hours with all sorts of activities, legal and illegal going on at night. Obalende has gone international with the establishment of Obalende Suya Restaurant in London. It makes a lot of sense for any visitor to Lagos to know Obalende before leaving the city. Your experience of Lagos without Obalende would definitely not be complete.